This one-year program is for students interested in being trained to the National Fire Protection Association’s 1001 standards for professional qualifications of fire fighters. 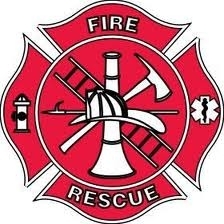 This training is required by area fire departments before entering structure fires or attacking car fires. 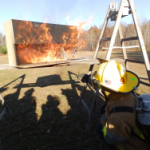 Classes are taught by state certified fire instructors with standard materials used throughout the state. There will be a combination of classroom, fitness training, and hands-on experience using fire fighting tools and equipment. Extensive reading and written work is also required. This class requires that students achieve and maintain a level of physical fitness to enable the individual to be able to chop, lift, drag, and climb. Students will be expected to work as a team while setting up ladders; climbing ladders to over 30 feet; chopping holes in roofs and dragging fire hose, all while wearing Personal Protective Clothing and an SCBA air pack. Successful completion of the course will allow the student to take the Firefighter I & II End Test (skills testing) and written tests. Due to safety regulations, priority for program acceptance will be given to best qualified candidates who will be age 16 by September 5, 2017.